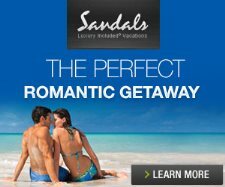 Sandals Negril premium Sandals Negril features a full array of complimentary water and land sports including canoes, kayaks, windsurfing, glass bottom boat, sailboats, hydrobikes, water-skiing, snorkeling, scuba diving, and hobie cats. On land enjoy fitness center, table tennis, shuffleboard, squash, day/night tennis, board games, billiards, and beach volleyball. Also enjoy nightly entertainment including an ampitheater, piano bar, carnival party, talent nights, caribbean night, live show, and live bands. Open air billiards is a fixture throughout the various Sandals Resorts. Scuba boat at Sandals Negril. Sandals Negril guests out at the reef on a scuba dive. Large assortment of complimentary watersports including canoes, hydrobikes, hobie cats, and more.